ViaNiños is a nonprofit organisation working to support vulnerable children, young people and their families in Ecuador. Our aim is to enable Ecuadorian street children to create a better future for themselves and their families. We work in partnership with grassroots Ecuadorian NGOs, that offer support and education programmes for working children (see Partner Organisations). Our role is to offer our partners financial support and strategic advice. ViaNiños was founded in Munich in 2003 by three former CENIT volunteers who met whilst volunteering in Quito. To this day the organisation is run primarily by volunteers. A sister charity was set up in the UK in October 2008 and another in Switzerland in May 2009. ViaNiños needs your support to enable street children in Ecuador to build a brighter future. Please help by making a donation or become a volunteer. Alternatively you can join our facebook page or our mailing list info@vianinos.org to keep up to date with our fundraising activities. 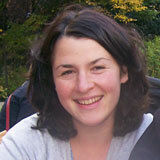 Bridget Higginson has an MA in Human Rights, a first degree in German and Spanish and has worked for various NGOs. She spent a year as Volunteer Coordinator at CENIT (2007-2008) and has been involved with ViaNiños ever since. 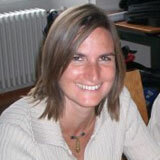 She is responsible for the partner organisation CENIT and is Secretary for ViaNiños UK. Tania Songini Chairperson of ViaNiños UK. Tania has been a member of ViaNiños since 2003. She regularly visits Ecuador and monitors our projects there. Tania worked for 18 years as Finance Director at Siemens and has recently become the Director of Finance and Operations at the International Rescue Committee UK. Silvia Zerbo Events Coordinator for ViaNiños UK. 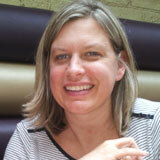 Silvia works as a Sales Manager for Dishman Europe Ltd in London. She started teaching salsa dancing many years ago through which she developed an interest in Latin American music and culture. Nicola McGregor studied Spanish and German at university and through her Spanish studies developed an interest in Latin America. She has travelled to South America twice and has spent two weeks travelling across Ecuador. 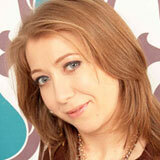 Nicola currently works as a Marketing Manager and manages our marketing activity. Nicholas McCaughran Treasurer of ViaNiños UK. Nic has worked as a management accountant since 2005. Before joining ViaNiños in 2013, he worked with a large international children's charity. He has travelled extensively across Eastern Africa, and managed the finances of projects for DFID and USAID in South Sudan. 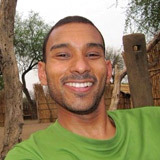 Nic is a lover of the outdoors and he is keen to help fundraise and promote children's rights.